UK politics online has lagged behind the US where the internet is a key constituent of Barack Obama and John McCain's fight for the Presidency. 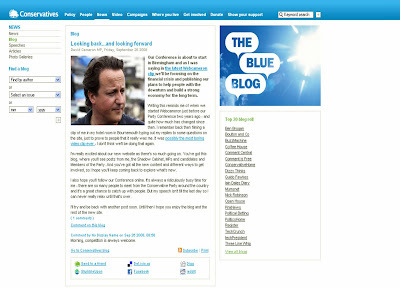 The UK has seen gradual developments in online political activity such as the Number 10 website relaunching with social features, Webcameron and some interesting online campaigning in the London Mayor election in May, but the new look Conservatives.com is the biggest initiative yet and raises the online bar for UK politics. - A video section called 'the Wall' allows party members and supporters to upload clips talking about why they are Conservatives. - A 'Your campaign' section where members of the public are asked to submit single-issue campaigns with Jeremy Hunt (Shadow Minister for Culture, Media and Sport) offering to champion the best ideas, with the winner also getting to meet the relevant Shadow Minister. 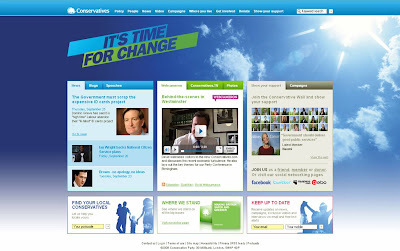 In an age where both policies and presentation are important the new Conservatives.com site feels fresh and modern. 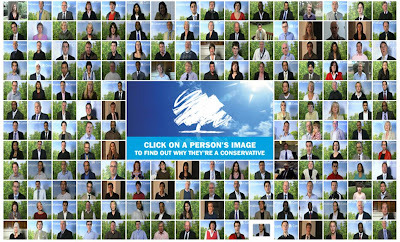 The new Conservatives.com site also goes a long way towards facilitating constant dialogue with supporters and the electorate as it recognises that the new digital age tools can allow continual feedback and discussion - representative democracy is now more than a once every 5 years opportunity to voice opinions. Through initiatives such as 'Show Us A Better Way' government is starting to open up its data pools and the relaunch of the Number 10 website coupled with the new look Conservatives.com may inject new momentum into UK political parties online activites. David Cameron 2007 conference speech and his 'David Cameron is a hottie' Facebook Fan base!